Baking and cooking with kids can be a lot of fun, especially if you have the right recipes which are both fun and easy to make. Younger kids love helping mom or dad in the kitchen, and older kids will feel a great sense of responsibility if they make a dish all by themselves. 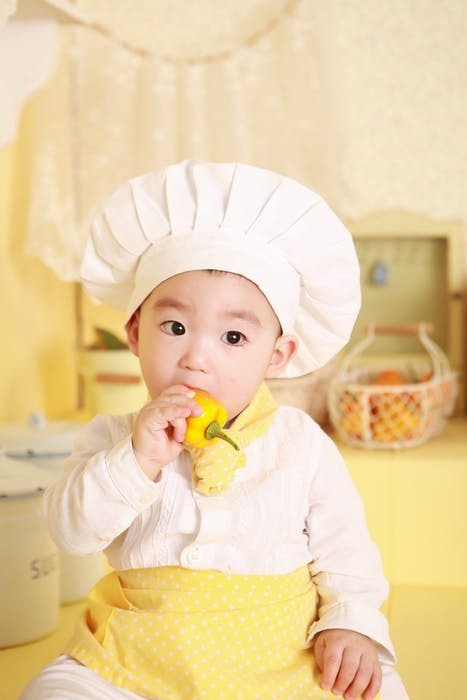 And, kids are more likely to try new foods if they have helped to prepare them! Here, we take a look at some fun recipes for kids to cook at home. This is one of the easiest and quickest ways to bake a cake, and they are cooked in the microwave meaning kids can bake them by themselves without having to worry about using the oven. Typically, all the ingredients are mixed together, before the batter is poured into a mug and zapped in the microwave for a minute – it doesn’t get any easier! Kids will love how quickly they will be able to eat the cake too, no more waiting half an hour for it to bake! Cheesecake is one of the easiest cakes to make, and kids love it! To make it even easier, you can buy ready-made pie crusts so you just need to mix together the filling and leave it to chill for a few hours. No bake cheesecake is a great dish to make with little kids too – it's safe (and yummy!) to lick the spoon after mixing and you don’t have to worry about them consuming raw egg. Pancake batter is a breeze to make, but cooking and flipping them can be a challenge, even for adults who have had some practice! Thankfully, you can make pancakes in mini muffin pans which takes the hassle out of trying to cook them perfectly! Kids can easily mix together the batter, and mom or dad can supervise their use of the oven. Crock pot recipes are great for making with kids – these recipes can show kids how easy it is to make a delicious home cooked meal, which will hopefully set them in good habits for when they go to college. Kids can help with simple veg prep (younger kids can wash them whilst older kids can chop) as well as opening cans of beans or tomatoes and adding water. Crock pot soups and casseroles are generally healthy too, so the whole family can enjoy a delicious and nutritious meal with less hassle. This yummy dish is popular with kids and adults alike and is so easy to make. Kids can top their tortillas with their favorite fillings, whilst mom or dad can help with the grilling. This is a great dish to make with children of all ages – it's perfect for when friends come over too, as everyone can choose their own fillings so even fussy eaters can find something they will enjoy! Emily is a mom to three-year-old Daisy, as well as an ever-growing family of cats. Daisy is the inspiration behind Emily’s new venture into the world of blogging, parenting review site WhooopsADaisy.com. Here, you will find great gift ideas for kids of all ages, as well as reviews of some essential baby and kids products and toys.